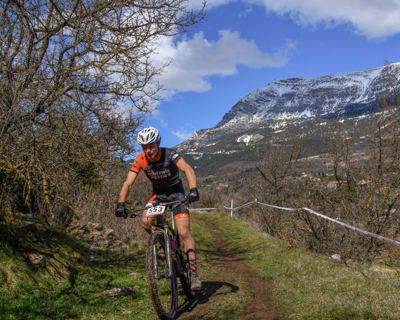 A circuit made up of nine world-class XC format events covering the whole of Catalonia. All the events will be UCI category, scoring towards the world ranking and qualifiers for the Olympic Games and the world championships. 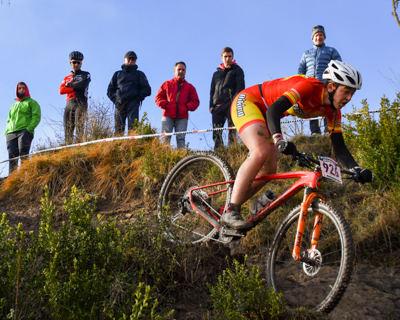 One new feature is a parallel circuit for the Elite, U-23 and Junior categories, which will have specific classifications (in addition to counting towards classification of the Copa Catalana Internacional) and will be formed of five top-level UCI events (C1 and HC). These five events will be subject to a special scoring system in accordance with their level of quality. 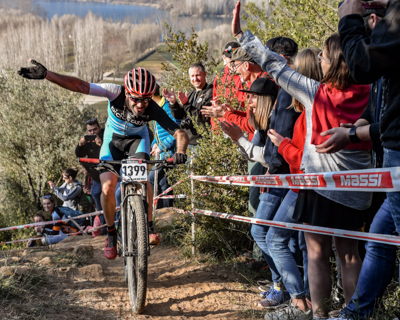 General regulations: The calendar of the COPA CATALANA MTB INTERNACIONAL will be made up of XC and ITT races. Both the CCI and the CCI SuperCup shall be governed by the current regulations of the UCI technical commission and, failing that, the Catalan Cycling Federation (FCC by its Catalan abbreviation). The five XC events will count towards the final INDIVIDUAL classification of the CCI SuperCup and will amount to 50% more than the CCI inpidual score. The eight best XC and ITT races will count towards the final INDIVIDUAL ranking of the CCI (therefore one of the nine events that make up the XC circuit will not be included). The events coinciding with the CCI SuperCup shall be subject to the special scoring established for this circuit. All the XC and ITT events will count towards the final team classification. In the event of a tie in points, it shall be decided in favour of the rider who obtains the best result in the last event. The 2019 calendar shall consist of four types of UCI events: HC, C1, C2 and C3. 1st:300 p. 2nd:262 p. 3rd:232 p. 4th:210 p. 5th:192 p. 6th:180 p, 7th:168 p. 8th:156 p. 9th:142 p. 10th:132 p. 11th:120 p. 12th:114 p. 13th:108 p. 14th:102 p. 15th:96 p. 16th:90 p. 17th:84 p. 18th:78p. 19th:72p. 20th:66p. 21st:60p. 22nd:54p. 23rd:48 p. 24th:42 p. 25th:36p. 26th-30th:33p. 31st-35th:30p. 36th-40th:27 p. 41st-45th:24p. 46th-50th:21p. 51st-60th:18p. 61st-70th:15p. 71st-80th:12p. 81st-90th:9p. 91st-100th:6p. 101st-TC: 3p. Inpidual CCI classification: 1st:200 p. 2nd:175 p. 3rd:155 p. 4th:140 p. 5th:128 p. 6th:120 p. 7th:112 p. 8th:104 p. 9th:96 p. 10th:88 p. 11th:80 p. 12th:76 p. 13th:72 p. 14th:68 p. 15th:64 p. 16th:60 p. 17th:56 p. 18th:52 p. 19th:48 p. 20th:44 p. 21st:40 p. 22nd:36 p. 23rd:32 p. 24th:28 p. 25th:24p. 26th-30th:22p. 31st-35th:20p. 36th-40th:18 p. 41st-45th:16p. 46th-50th:14p. 51st-60th:12p. 61st-70th:10p. 71st-80th:8p. 81st-90th:6p. 91st-100th:4p. 101st-TC: 2p. 6.Clothing and advertising: The leader of each category must wear the jersey provided by the FCC, which has a 30 cm x 22 cm space at the disposal of the rider reserved for the advertising of their main sponsor. In all formal award ceremonies, participating riders must get on the podium wearing their team’s corresponding jersey and shorts. *M/W U-23 prize money scale only when a split race is organised for those categories, if not, the Elite prize money scale will be applied. In the CCI special events and prologues, trophies and a leader’s jersey will be given to the top three overall male and female riders , but they will receive no cash prizes. Cash prizes shall be subject to the corresponding withholding tax. 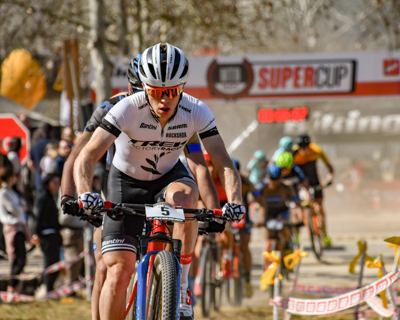 For the CCI SuperCup, a jersey will be given to the leaders of each male and female Elite and U-23 event, and the final circuit champion for Elite U-23 and Junior categories, both male and female, will also receive a jersey. REGISTRATION AND PAYMENT: Registration is open until 11:59 p.m. on the WEDNESDAY before the event. Payment must be made via the website. If payment is not received, confirmation shall not be provided. Telephone: (+34) 938088091, (+34) 9380880112. Email: info@ocisport.net, www.ocisport.net. Number plates must be collected on the day of the event (1st race), or at any other race if the competitor has not participated in any previous race, in addition to the official t-shirt of the Copa Catalana Internacional 2019. Valid licenses must be handed in and the signature log must be signed. Registrations made from 30 minutes before the start of the race shall not be accepted. Registrations made on the day of the race shall incur a surcharge of €10 and the rider shall not be included in the starting grid. PADDOCK: Teams that wish to make a Paddock reservation must make one single payment for all CCI 2019 events. Go to www.ticketoci.net and fill in the reservation form with the requested data. Email: info@ocisport.net, www.ocisport.net. The Paddock will be distributed according to the size of the reserved plot and the team’s current ranking in CCI 2019. When collecting the number plate at the first race a €5 surcharge shall be applied (number plate/race bib, chip and t-shirt). Registrations made on the day of the race shall incur a surcharge of €10 and will not be taken into account for the starting order. 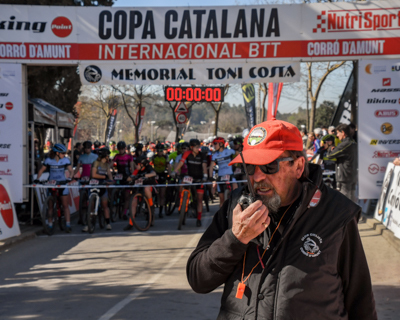 Riders are responsible for taking care of the provided number plate and race bib, which is valid for all races (including the special event) of the Copa Catalana. In case of loss, riders shall be subject to a €5 number plate or race bib replacement fee. 9. Complaints: (also valid for ITT events). All official complaints related to irregularities throughout the duration of the race or ranking must be communicated to the Technical Panel within a period of 30 minutes after the official classification (not the previous unofficial classification) has been announced. In the event that it is not resolved at that moment, the complaint will be passed to the Competition Committee, who will resolve matters affecting the outcome of the race within a period of four days, and matters related to possible penalties will be resolved in a period of eight days. 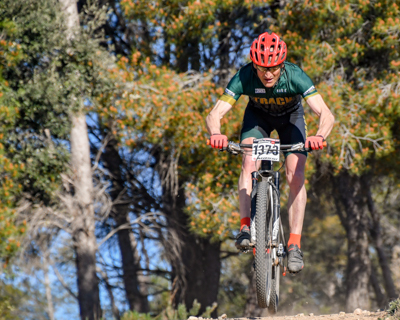 10.Starting order: The starting order of the races of the Copa Catalana MTB Internacional 2019 shall be allocated according to UCI ranking, the general classification of the Copa Catalana MTB Internacional 2018 and the order of registration via the website. Participation and registration. All categories may participate. Registrations for only the Saturday event shall not be accepted (ITT). Distance and duration of the races. The approximate distance of an ITT race is between 4 and 8 km, equivalent to 5-20 minutes of racing. The route may or may not coincide with that of the XC event. In any case, there will be specific markings for each race. Scoring. See the scoring section of the XC regulations for special ITT events. Clothing and advertising. The leader must wear the jersey provided by the FCC during the special events (ITT). Starting order. The starting order will be the reverse order of the general classification according to the category of the Copa Catalana. Under no circumstances may two riders from the same team start in simultaneous positions. In such cases, riders will be alternated with the next rider in the general classification belonging to a different team to their predecessor. The starting order of categories will be as follows: Women: Elite, Junior, Cadet, M-30/40. Men: Master 30, Junior, U-23 and Elite. In the event that the organisation invites a world-class rider (e.g. UCI Elite category), instead of starting in last place in their category, they will be placed in an intermediate position according to UCI ranking; however, this is always at the discretion of the organising committee. If a competitor does not show up at their allocated time, they will start at the time authorised by the Technical Panel and the competitor’s final time shall be counted from the time previously allocated. Riders shall start at 30 second intervals. Drafting behind an opponent in the event of being lapped is not permitted. Classification. Classification of the special event shall serve as the basis of the starting grid for Sunday's event. Thus, for the purposes of the starting order, one single category for Elite and U-23 (general scratch race) will be calculated. Signposting. The ITT route will be correctly signposted. If a section of the route coincides with that of the XC circuit, it shall be indicated with different signposting. Closing the circuit. The circuit shall be closed 15 minutes before the ITT begins. The circuit shall be closed to all riders, including those not competing in the special event. Registration. 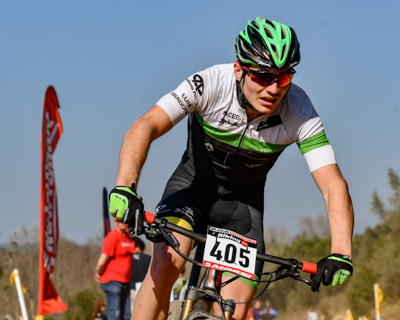 Competing Teams may only be made up of cyclists (M/W) from Elite, U-23, Junior, Cadet, Master 30 and Master 40 categories. In order to compete for the Special Team Prize of the Copa Catalana, registration must be confirmed at Ocisport’s permanent office by the Thursday before the first event in which the team will participate at the latest. Registration shall remain closed for the entire championship. Riders. 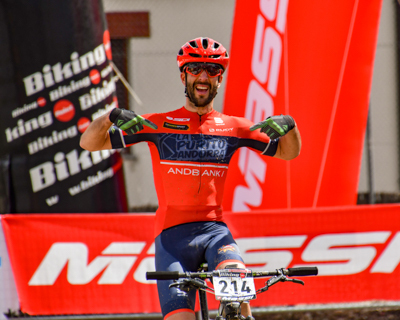 Each team must have a maximum of 25 riders and a minimum of four riders registered, belonging to either Elite, U-23, Junior, Cadet, Master 30 or Master 40 categories. The entire team must wear exactly the same jersey and shorts with the team’s colours and advertising (according to license). Points. A minimum of one qualified rider is required for the team classification. 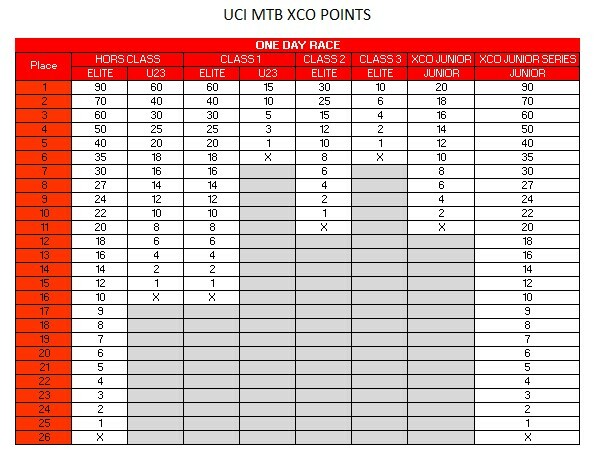 The point scoring system shall operate as follows: Men's Elite, U-23: by adding up the top three riders’ scores from each team. 100% score. Women’s Elite /U-23: by adding up the top two riders’ scores from each team. 100% score. Male Junior: by adding up the top two riders’ scores from each team. 100% score. Male Cadet: by adding up the top two riders’ scores from each team. 100% score. Female Junior: by calculating the top rider’s score from each team. 100% score. Female Cadet: by calculating the top rider’s score from each team. 100% score. Master 30: by calculating the top rider’s score from each team. 25% score. Master 40: by calculating the top rider’s score from each team. 25% score. Master 50+: by calculating the top rider’s score from each team. 25% score. The total score of each team in the race shall be calculated from the sum total of these riders. The final classification for teams competing in the Copa Catalana shall be calculated from the sum total of all the events. The leaders of the different categories must wear the leader's jersey, which they shall be provided with. These jerseys have a space reserved for the team’s advertising. Refreshments are only allowed in signposted areas. Replacement parts and tools for repairs must be deposited in the signposted technical areas. Replacing equipment (except for bicycle frames) and technical assistance between members of the same team, by the team mechanic or neutral assistance is permitted. Those attending the awards ceremony must attend wearing the corresponding club gear (jersey and shorts). Unsportsmanlike behaviour towards other riders, the Technical Panel, organisational staff or the environment may lead to exclusion from the event. 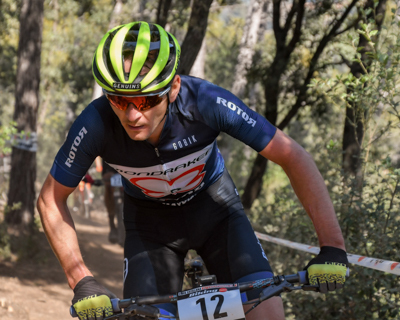 Participating in the Copa Catalana de MTB Internacional implies acceptance of these regulations. The same regulations are subject to modification, extension and interpretation by the FCC and the organising committee. The organisation reserves the right to modify the circuit in the event of insurmountable obstacles. Similarly, all unforeseen circumstances shall be resolved by the members of the organisation and the event’s Technical Panel.